Rain, rain and more rain fell on Wednesday making it one of the wettest June days I’ve recorded. The good news is the weather will improve in time for the weekend. Weekend: An improvement but windy. Looking ahead: High pressure will try and push up from the south but not guaranteed to anchor itself over the UK. Overall a bit warmer and some drier slots with bright spells. Follow @ChadWeather on Twitter for further updates. After several days of very warm to hot weather and a risk of thunderstorms later on Wednesday, we’re finally back to more accustomed conditions. Weekend: Bright spells and showers. Breezy. 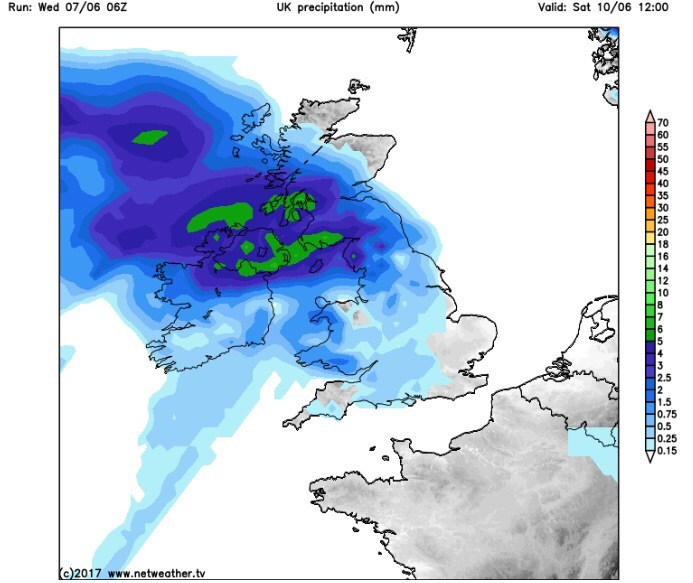 Outlook: Likely to turn more unsettled with showers and temperatures slipping just below normal. After a few changeable days the weather warmed up again on Wednesday and the general theme over the weekend is for more summery temperatures to arrive. Weekend: Very warm sunny spells with variable cloud. Saturday: A cloudy start is expected but some warm sunny spells will break through at times, especially later in the day. Some northwestern areas and along the west coast could remain cloudy all day. Remaining dry with a slight breeze. Max 22°C but localised sunnier spots could go a couple of degrees higher. Outlook: A very warm start but fresher conditions following on from the west but it will remain generally settled with sunny spells and just a few showers. Welcome to Summer. LOL. It’s been feeling more like autumn this week as an unusually deep area of low pressure for the time of year brought gale-force gusts in exposed places and over 30mm of rain in 48 hours. 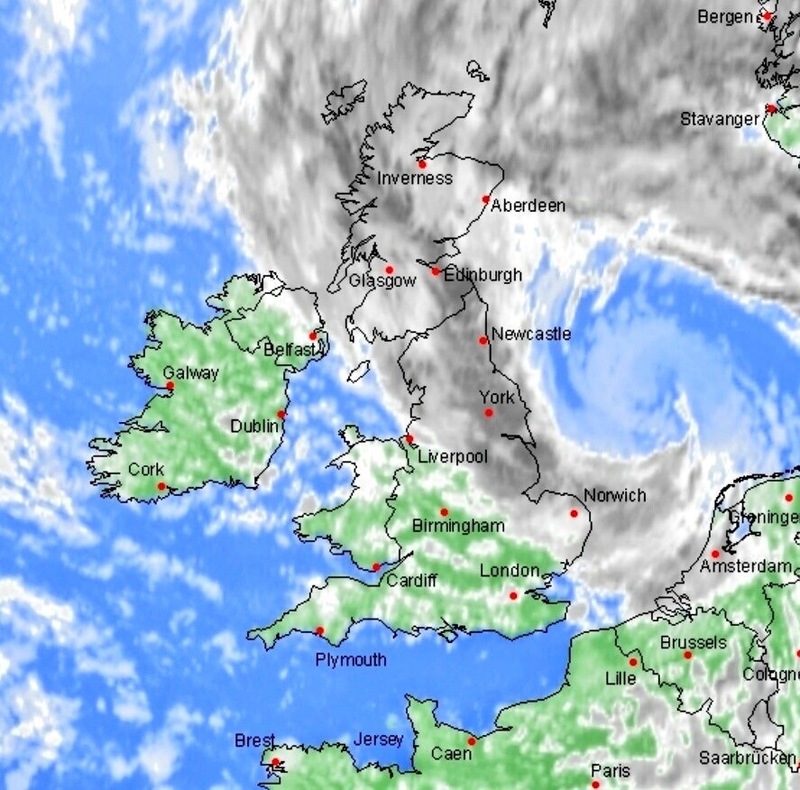 Locally, in higher locations, 40mm was recorded as well as gusts to 57mph. Impressive stuff. Will the real summer be making an appearance soon? It doesn’t look like it as there’s no sign of any prolonged sunshine and heat in the next 7 days. Looking ahead: Breezy with sunshine and showers but midweek onwards should see the weather settle down as high pressure builds. At the end of the week and into the weekend it could start to warm up nicely with temperatures into the 20s. Follow @ChadWeather on Twitter for the latest weather updates.